We check over 450 stores daily and we last saw this product for $128 at Alexis Bittar. 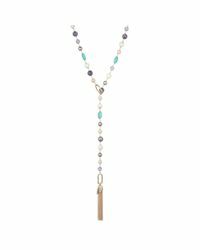 Add a little movement to your look with our multi-stone station necklace. Gold toned tassels add an elegant flair. 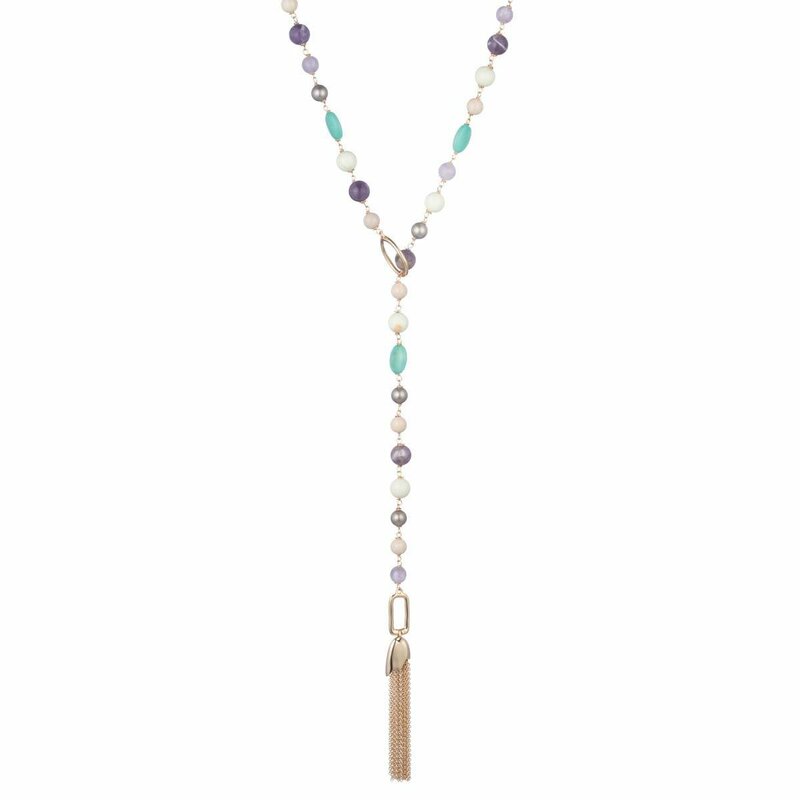 River Stone, Chrysoprase, Chalcedony, Amethyst, Pearl and 10K Gold Tone Plated Brass. 30" length.